Why is the Insurance Industry a Profit Leader? Throughout the years, numerous cases involving unethical insurance practices have proven that the insurance industry has become a profit leader by purposely harming its policyholders. Lamentably, the insurance companies involved in these illegal acts are the same ones that spend billions of dollars persuading consumers to purchase their policies while guaranteeing the best coverage and compensation during an unfortunate event. The unfortunate truth is that not all insurance companies intend to provide their policyholders with the help that the individuals sign up for. 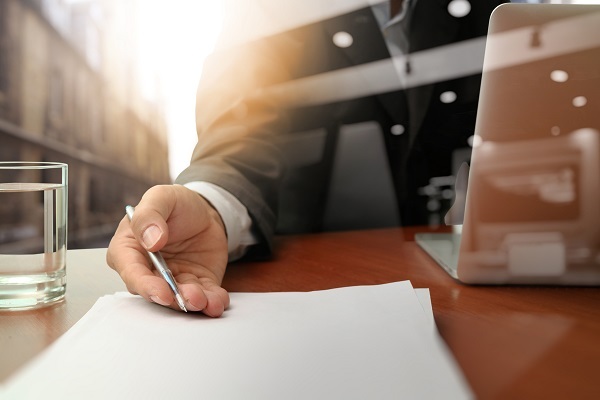 Although insurance bad faith acts are illegal and insurance companies face the risk of being penalized, it still occurs with the sole purpose of increasing revenue. Have you been victimized by the unethical acts of an insurance company? Are you struggling to receive a fair compensation? The tough team of attorneys at Millin & Millin have helped and fought for the rights of a multitude of individuals. Call us today for a free case evaluation at (956) 631-5600. Denying a claim is probably the most common malpractice utilized by an insurance company to continue increasing profit. In fact, there have been numerous cases in which individuals have been involved in severe accidents caused by other drivers, and which has left them in a coma, with collapsed lungs, and multiple injuries. However, insurance companies identify these claims as acts of road rage, which therefore do not fall in the category of an accident. But there is more than just denying your claim for unethical reasons; the most appalling insurance malpractice is delaying a claim until the death of an insured. This act mostly happens to long-term policyholders such as senior citizens, with a history of medical conditions. Insurance companies know the health conditions of their policyholders and often take advantage of age and unhealthy condition. Policyholders who have been victims of any kind of unfortunate situation, whether a traffic accident or a catastrophic event, often feel a sense of ease when they realize that their insurance provider will make up for any loss. Unfortunately, policyholders face deeper challenges that often lead to major economical burdens. One of these burdens is being lied to about the type of damages that are covered by their policy. In 2005, a policyholder in Mississippi suffered over $130,000 worth of damages when Hurricane Katrina struck his home. The damages included flooding of the lower level of his home. Although the individual was supposedly covered by hurricane insurance, his insurance company pointed to the anti-concurrent clause of his policy, which concluded that his losses would not be covered. The man testified that his insurance agent had told him that he did not need flood insurance and explained that the insurance company responded to his claim by saying he should’ve read his policy papers – papers that he had only received after he purchased the insurance. Even more so, insurance companies do not always use plain English language in their forms and policies. Policyholders are often confused with the terminology used in their policies, which is another fraudulent tactic that keeps these disreputable companies increasing profit. Auto insurance companies for example, also increase their profit by utilizing credit scores to develop their policies different for each individual. If you are the kind of person who finds it convenient to pay your purchases in cash, you may face a premium increase of over 100% for having no credit on file. Furthermore, policyholders can have an impeccable driving record, no claims on file, and be eligible for many driver discounts, but will not qualify for a lower rate if they have no credit score. The way insurance companies justify the credit scoring is by assuming that if you are careless about credit then you must be a careless driver or irresponsible property owner. This mostly affects less fortunate individuals who have no credit on file. The element that makes this type of situation even more alarming is that insurance companies also investigate a policyholder’s lifestyle. One’s hobbies and grocery lists can be used to determine a policyholder’s premium, and work in favor of the company, thus helping them to stack up on profit. There are numerous insurance tactics that can negatively affect your way of life. Let the attorneys at Millin & Millin provide you with legal solutions that will bring you a satisfactory outcome. Call us today for a free case evaluation at (956) 631-5600.